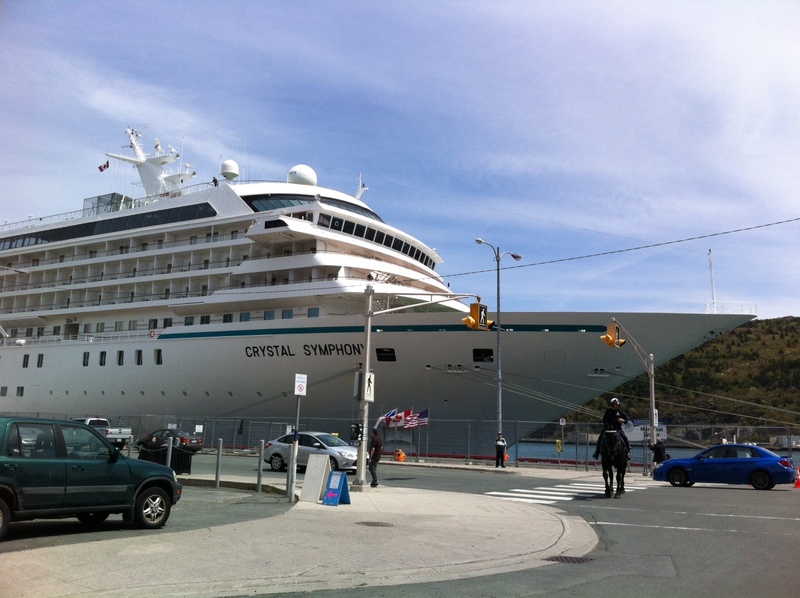 The Crystal Symphony is only one of 2 cruise ships that Crystal Cruises owns, and at 6 stars, its supposed to be the most luxurious cruising experience available today. Everyone that sails for 7 or more days on one cruise automatically becomes part of the ‘Crystal Society,’ but there are milestone levels (5, 25, 100, etc) which entitle you to certain privileges and free cruises. 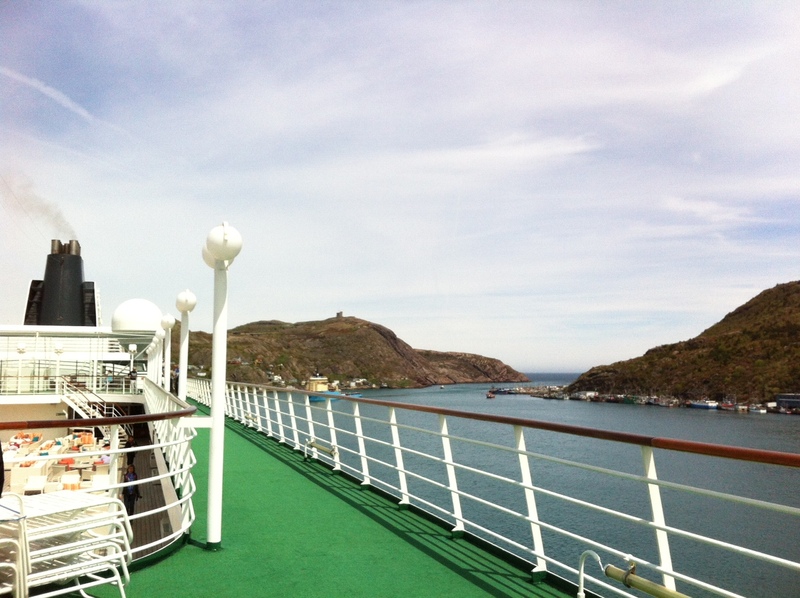 Even though the company has only been sailing since 1988, there are guests who have sailed on over 200 voyages. On our voyage, there was a 98 year old woman who had been on some 98 cruises, and another woman who had been on 189 cruises. There was a couple who had boarded the ship the cruise before, and were going to stay on for 5 trips in a row. There was another woman who had moved into one of the penthouse suites, and was going to be a permanent resident of the ship for an entire year. Naturally, the level of class and wealth was more than a stones throw away from what I normally pass for, so I had to answer a few funny questions and explain what I was doing there and why I didn’t look Icelandic. Most conversations started with who’s who and from where, but some were quite secretive. My favourite answer from a German gentleman was “I’m super famous but you’ve never heard of me.” Others belittled themselves, “Oh it doesnt matter, I was just invited to come here so I did but I really shouldn’t be” and others tried their best to look and act as important as possible, though noone ever really figured out their story. The cruise is all inclusive, and employs around 450 staff and has a guest capacity of some 950, so the employee to passenger ratio is nearly 1-2. On our particular cruise, a 12 day trans-Atlantic from New York to Reykjavik, the ship was only half full, so we enjoyed a 1-1 staff to guest ration, easily making the voyage one of the most hospitable, comfortable ways you could imagine a cruise ship to be. There were only 4 Icelanders on board, two tourism professionals, a guest chef, and a geologist who was our volcano specialist and destination lecturer. We were constantly stopped and asked a thousand questions about Iceland, the most common being about the Blue Lagoon, and everything else as random as ‘can I buy protein shakes in Reykjavik?’ People wanted lists of what to do and what to see, and recommendations where to eat and party. The guest chef, ‘Icelandic Food Expert’ Thrainn from Kolabrautin, was asked for photos as if he was a famous celebrity, but he became quite favourable with the staff when he kept giving out samples of Icelandic food and drink and insisted on helping in the kitchen even though he was only supposed to show up and teach others how to prepare his food. 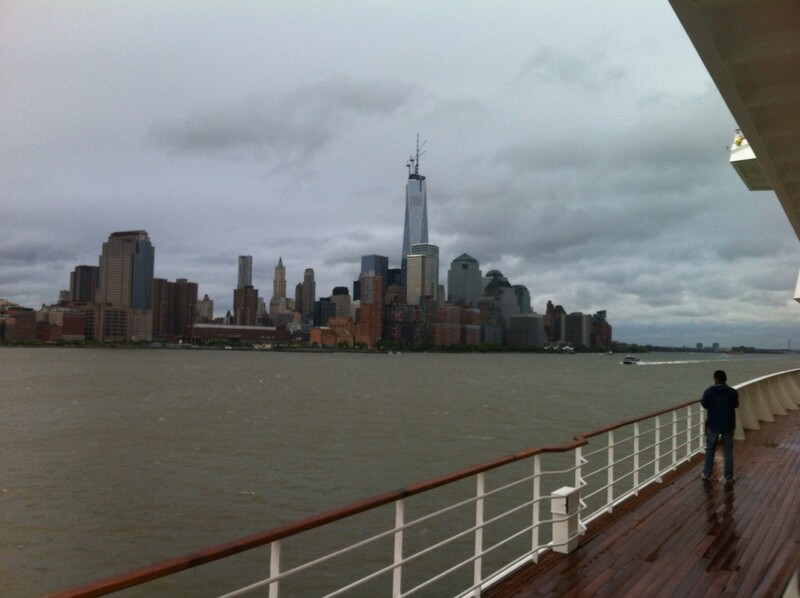 Wonderful blog, Crystal Symphony is the superb a cruise ship. We are the terrific travel operator in Dubai. The Overall Experience: Enchanted Garden has everything you would expect from a Disney restaurant, from its wonderfully themed and detailed atmosphere to its high-quality food. Disney has once again delivered a dining experience that is completely unique, unlike anything you will find from any other cruise line or aboard any of the other Disney ships. It is dining experiences like Enchanted Garden that keep me coming back to Disney cruises because you know everything is going to be of the highest quality. This attention to detail and theming that is found in Enchanted Garden is carried throughout the rest of the ship and makes cruising on the Disney Dream truly an unforgettable experience.